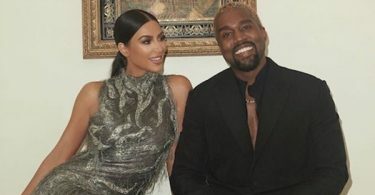 7TH ANNUAL BOTTLEROCK NAPA VALLEY MAY 24 – 26, 2019. Get BottleRock Napa Ticket information available here. 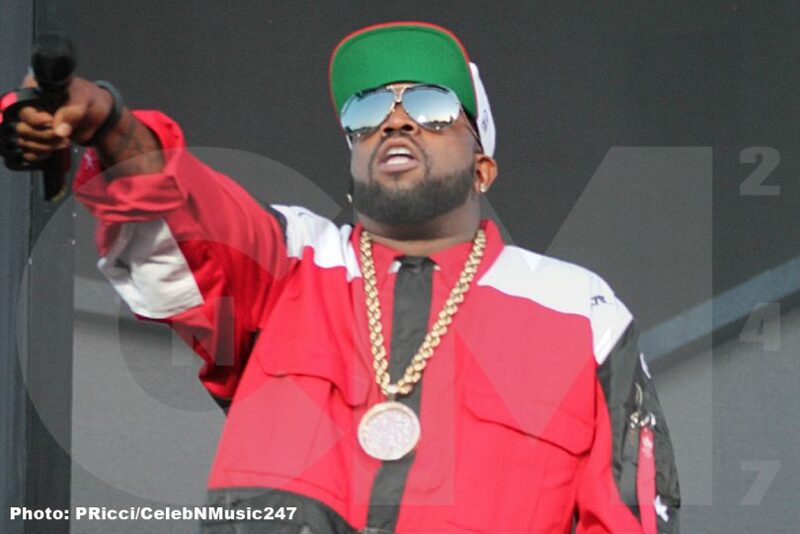 CelebNMusic247.com has the latest information on the 7TH ANNUAL BOTTLEROCK NAPA VALLEY MAY 24 – 26. BottleRock Napa tickets: 3-Day Festival Passes On Sale Tuesday, January 8, 2019, 10 AM PST and Single-Day Festival Pass On Sale Thursday, January 10, 2019, 10 AM PST. 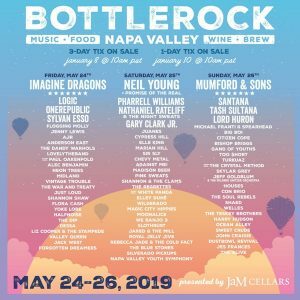 BottleRock Napa Valley 2019, presented by JaM Cellars, announces its seventh annual festival lineup today, which includes headline artists Mumford & Sons, Imagine Dragons, Neil Young + Promise of the Real, Pharrell Williams, Santana, and Logic. 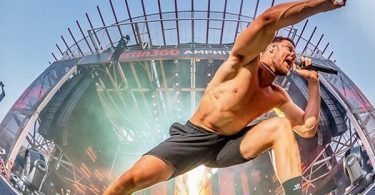 The three-day music, wine, food, and craft brew festival will take place in the heart of the City of Napa at the Napa Valley Expo, May 24 – 26, 2019. 3-day festival passes go on sale at 10 AM PST on Tuesday, January 8, 2019, at BottleRockNapaValley.com. Single-day passes will go on sale at 10 AM PST on Thursday, January 10, 2019. Dave Graham from BottleRock Presents had this to say about the festival. Each year we look at ways to improve the overall festival experience for our guests. In addition to our incredible lineup, we continue to offer the best cuisine, wines, craft brew and spirits, all supported by the warm hospitality people expect when visiting the Napa Valley.